Jaguars center Brandon Linder (left) is one of three starters who are set for Sunday's season opener. Luke Bowanko (70) was traded to the Ravens on Saturday. 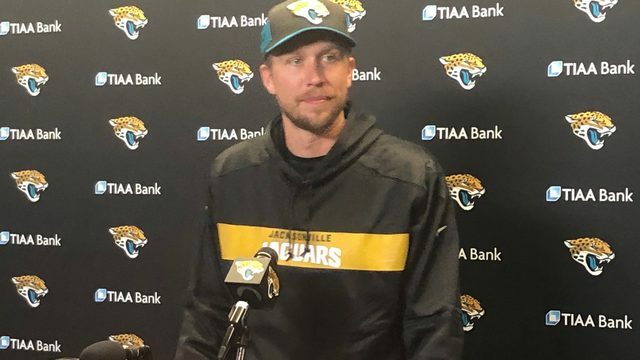 JACKSONVILLE, Fla. - "The offensive line has to play better. That's the bottom line." Those are the words of Jaguars offensive line coach Doug Marrone, who spoke on Monday about the team's uncertainty over who will start up front in the Jaguars season opener Sunday in Houston against the Texans. That the unit must play better was apparent in the preseason when the Jaguars first team offense was largely outmuscled by opposing starting defensive lines. 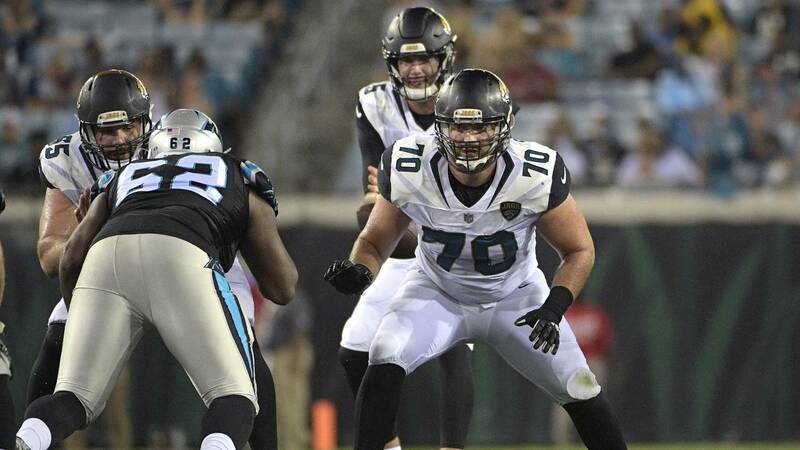 With the season approaching the Jaguars appear to have at least three positions settled: Left tackle Cam Robinson, center Brandon Linder and right tackle Jeremy Parnell figure to start. A.J. Cann appears to be set to start at right guard, we think. Left guard is still very much undecided. Among the candidates are Patrick Omameh, Earl Watford and Tyler Shatley. The man who started at that position in the fourth and final preseason game, Luke Bowanko, was traded to the Ravens over the weekend. No single unit on a football team demands more coordination and cohesion than the offensive line; five players working as a single organism. When the Jaguars take the field at NRG Stadium on Sunday, they could do it with a quintet that has rarely played together. Marrone said that he he was content to settle on the five best offensive linemen, and then let them develop as a group. "Let's get the best five and then get cohesion," said Marrone. That being said, why has it taken the Jaguars this long to determine who the "best five" are? They went into the offseason knowing that they had a need at left tackle and at at least one guard spot. They could not have foreseen the debacle that was the Brandon Albert deal. The former two-time Pro Bowl left tackle was acquired via trade, and then didn't show up to offseason practices as he worked to get a new contract, which he never received. Then he came to training camp, thus, avoiding any fines. He then retired. Later, he had second thoughts and wanted to return. By then, it was too late. The Jaguars had already signed Cam Robinson. Robinson only worked at left tackle for the Jaguars, never at guard. But the team didn't add any help at that position. There was some conjecture that Linder could have been moved back to his previous position at right guard, but that never happened. That's where the Jaguars find themselves as the season dawns--with a rookie at left tackle, a good center who is playing at his second-best position and a right tackle who has to play better than he did last year. And those are the three best options for the "best five." Add to the challenge, the opposition. Marrone called the Texans defense the best in the league. 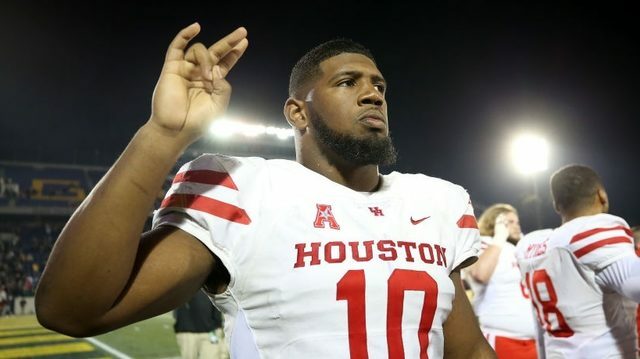 The Jaguars will have to deal with a Houston defensive line led by J.J. Watt, Jadeveon Clowney and Whitney Mercillus, who combined for 34 sacks two seasons ago (Watt was injured during most of 2016). 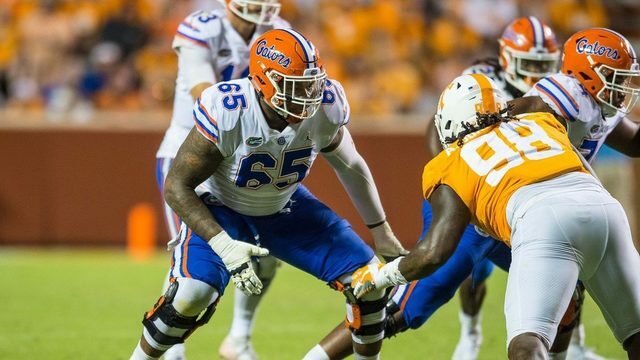 It will be a baptism by fire for Robinson, the Jaguars second-round pick this year. "As long as we prepare this week, just take the information we're given and be ready for whatever they show we'll be fine," Robinson said. "(In the preseason), I just wanted to take it one week at a time and not look too far ahead." 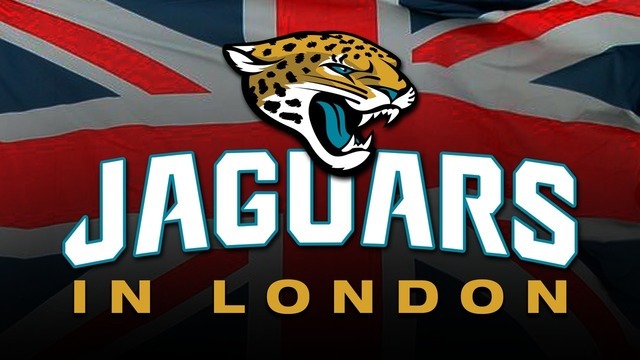 If the Jaguars want to establish a culture of being a tough offense, the team has to start with the offensive line. Just who will have that responsibility still remains to be seen.